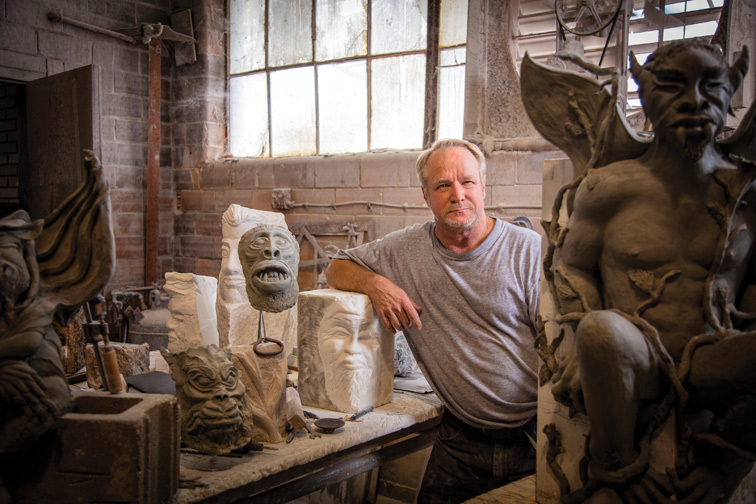 Paul Bayer creates sculptures that inspire our imaginations. 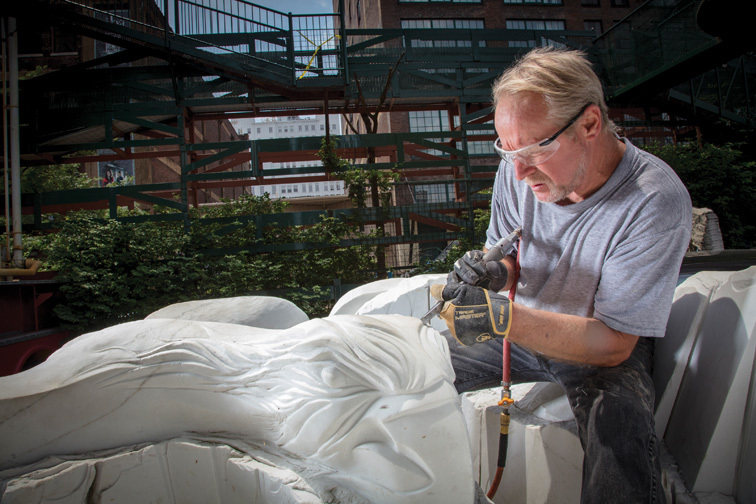 This work-in-progress masterpiece contains all the elements that make up what the City Museum stands for. It's a beautiful mixture of many different ideologies and cultures all culminating in a sculpture that has the power to inspire creativity in children and adults alike. This has been Bayer's passion project for the last four and a half years, but his love for carving art started much earlier in his life and really exploded at the age of 17 when he received his first hammer and chisel for his combined birthday and Christmas present. “It was a big family and not a lot of money to go around, but I asked for it and that was my gift for the year. 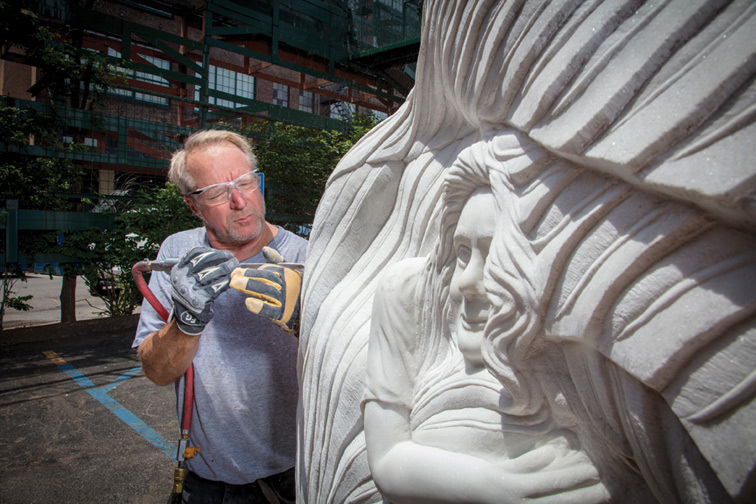 From there, I started carving in my spare time basically for 15 or 20 years,” he says. 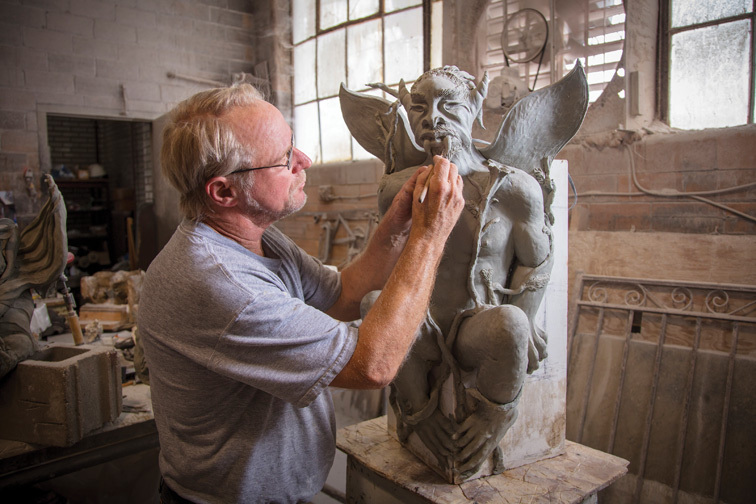 He continued to hone his craft throughout his long and storied career, taking on commissions, teaching his craft in South Dakota and Colorado and finally landing where he is today, at the City Museum, 16 years ago. To find out more about Paul Bayer and his incredible body of work, you can visit his website at paulbayer.awardspace.com or just come down and visit with him as he continues to carve what we're sure will be, and already is, a true masterpiece.